As a compliment to Motto Storefront, Artspeak and Fillip are very pleased to present the Nieves Zine Library, a selection of 100 zines published by Nieves, Zürich between 2004 and 2010. Photocopied in editions of only a hundred or a hundred and fifty, and almost all long since out of print, the Nieves Zine Library includes publications by Ari Marcopoulos, Stefan Marx, Olga Prader, Mark DeLong, and many others. 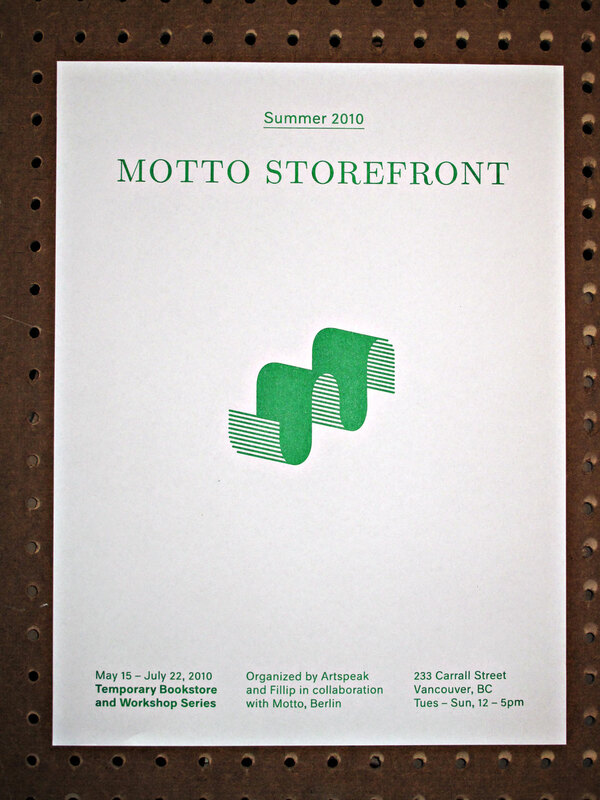 This entry was posted	on Friday, May 14th, 2010 at 9:51 pm	and is filed under art, books, exhibitions. You can follow any responses to this entry through the RSS 2.0 feed.